Gerardo Lopez, a former member of the MS‑13 gang, and now executive director of a Denver gang intervention and prevention organization, will speak 2 p.m. Friday, Feb. 8. The public is invited to participate in a series of events throughout the week showcasing Chicanx Latinx culture. One of the highlights will be a visit by Gerardo Lopez, who joined the MS‑13 gang in Los Angeles at the age of 14 and now devotes his life to keeping kids out of gangs. 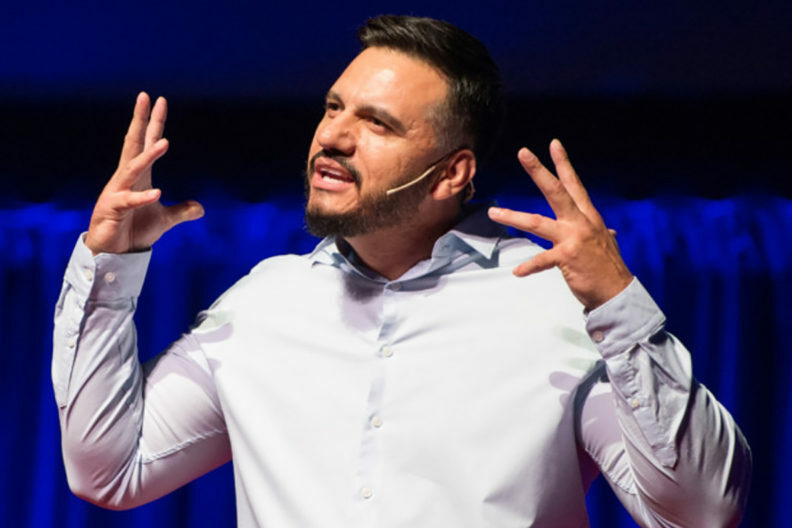 Members of the community are encouraged to meet Lopez and hear him speak 2–3 p.m. Friday, Feb. 8, in WSU’s Chicanx Latinx Student Center, Compton Union Building, room 402. He will deliver the keynote address during the Gabriel Cardenas Memorial Banquet, an event with limited seating, the following day. When he was released from jail at age 20, he joined a gang intervention group, moved to Colorado and earned a college degree in criminal justice. Lopez is now executive director of Homies Unidos Denver, a gang intervention and prevention organization. Carlos J. Salazar, assistant director of the Chicanx Latinx Student Center, said there are many interesting speakers and fun activities that everyone will enjoy. Feb. 4 — Processional Kick‑off & Luncheon: Caminando Juntos, noon, in the CUB Butch’s Den (L60). Feb. 5 — Noche De Juegos, 6 p.m., CUE Atrium. Feb. 6 — Dia De Tu Santo: Cultural Practices, Politicized Art & Canonization, 6 p.m., in Spark 227. Feb. 7 — Loteria Game Night Con Pan Dulce, 5:30 p.m., CUE 119. Feb. 8 — Noche Cultural: Talent Show, 6 p.m., CUB Senior Ballroom. Feb. 9 — Gabriel Cardenas Memorial Banquet & Baile, 6 p.m., CUB Senior Ballroom. Feb. 10 — La Alianza Brunch, 11 a.m., Lewis Alumni Centre. Semana de la Raza is sponsored by Multicultural Student Services, Chicanx Latinx Student Alliance, Movimiento Estudiantil Chicana/o de Aztlan, Associated Students of Washington State University, and La Alianza. For more information, contact Salazar, carlos.salazar@wsu.edu.